The Humanity and Equality in Abortion Reform (HEAR) campaign is calling on all Islanders to respond to the Public Consultation on Dr. Alex Allinson MHK’s Abortion Reform Bill 2017, which was launched yesterday. HEAR notes the initial poor timing of the consultation, which takes place over a month in which many Islanders are away and may not learn of the Consultation over that time, though also notes that an extra week appears to have been added in the wake of such concerns voiced by HEAR yesterday. HEAR also notes the biased way in which the Bill and background information is described on the consultation page. 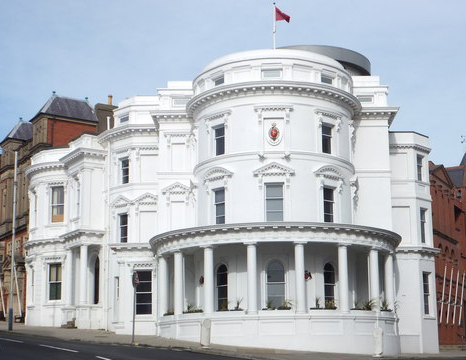 This is especially unfortunate, as the Bill needs as much objectively-informed public comment as possible, being the most regressive piece of abortion law legislation ever put proposed to be put before Tynwald. Introducing abortion on demand, for any reason ostensibly up to 14 weeks, and potentially up to 24 weeks given the vague construction of abortion to avoid “a risk of serious injury to the pregnant woman’s life or health” and “serious social grounds” in clauses 6(4) and 6(7). Worsening disability discrimination in current Manx abortion law, as the already existent discrimination against babies with disabilities in the law, will be introduced up to birth. Removing important protections for unborn babies, including the current requirement that if a baby is born alive during any abortion then “the hospital surgeon shall be under a duty to take all reasonable steps to preserve the life of the child”. This will encourage and introduce the barbaric practice of feticide, in which a baby is caused a fatal heart attack so as not to survive a late abortion. This is described on the HEAR website. Removing legal penalties in the Criminal Code, meaning cases like the recent callous case in Northern Ireland (as discussed here) would be impossible to prosecute up to 28 weeks. Compromising conscience protections for medical professionals, who will now not only have the burden of proof put on them, but will be obliged to be materially complicit in abortion by referring to other doctors. Deleting safeguards in the form of the two-doctor rule and required evidence-basis. Not only will this be removed up to 14 weeks, but only an attending physician will have to approve an abortion after that time, rather than an independent medical practitioner also. HEAR will soon respond to the consultation, and publish a full critique of the Bill for public information. “This consultation is taking place at an awkward time of year, but we are glad the organisers extended the deadline yesterday to make sure that all Islanders will have an opportunity to properly read and contribute to it. We also regret the biased way in which the Bill is introduced and discussed and the legal and social context given on the consultation homepage. The Bill is promoted, rather than objectively described. Nonetheless. we are certainly glad that there is a public consultation on this Bill, and we welcome Dr. Allinson’s encouragement for all people, across the public debate, whether anti-abortion, pro-abortion, or somewhere in the middle, to write in. Unfortunately, there is nothing within the Bill to recommend itself: it is extremely regressive legislation. In 1995, we went ahead of the UK by looking at their system and avoiding the problems caused by their failed law and practice. This included rejecting abortion on demand, lax and law-voiding permissive regulation, widespread informally eugenic discrimination against disabled babies, especially barbaric abortion techniques, and the undermining of medical conscience rights, all of which were observed across and successfully avoided for the Island. By contrast, this Bill would make our laws more inhumane, and take us backwards. It would remove the already tenuous conscience protections in law, worsen disability discrimination, enable late-term feticide, and introduce abortion on demand, effectively not even up to 14 weeks, but to 24 weeks by its undefined health and social clauses. Rather than learn from the failures across, which have had terrible consequences, this draft legislation emulates them. It would make our law more discriminatory, more lax and permissive, and abolish key safeguards that were wisely included in 1995. We call on as many members of the public to write in to the consultation opposing these dehumanising provisions, and call for real humanity and equality to be involved in abortion reform, by increasing protections for unborn children, and giving better material support for pregnant mothers and their babies in the womb”.